Win a Free Copy of TinyBuddha's New Book: 365 Tiny Love Challenges! As some of you know, I've written for TinyBuddha.com in the past. Lori (the founder, for those unfamiliar with the site) has always been kind and helpful, so when she reached out to spread the word about her new book I was more than happy. It's a nice coincidence too, because nearly every day I get emails from readers about self-love or relationship difficulties. For that reason I thought many of you would find this book very helpful. It's truly a universal issue which so many could use guidance on, and the daily challenge-oriented structure of the book's wisdom serves as an incredibly practical guide to bringing more love into one's life- both self-love and love between people. From the founder of the popular online community TinyBuddha.com comes a daily inspirational guide of simple and creative challenges to help you actively spread love to those around you. 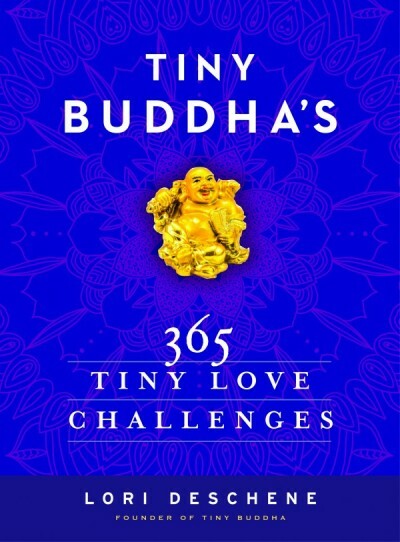 Tiny Buddha’s 365 Tiny Love Challenges is a simple guide to help readers pursue happy, connected lives and bring greater love into the world. The people at Harper One have been gracious enough to offer a free giveaway copy of Lori's and TinyBuddha's new book. If you'd like to enter the giveaway for a chance to win a beautiful hard copy version of the book (I have a copy and it's very nice), just click the green button below and enter your email for a chance to win. The giveaway will last just 7 days, so make sure to jump in before it's over! To pick up a copy of 365 Tiny Love Challenges, click here for the Amazon book page or go to TinyBuddha.com/love-book for more information.